Easily find the table location of data fields. 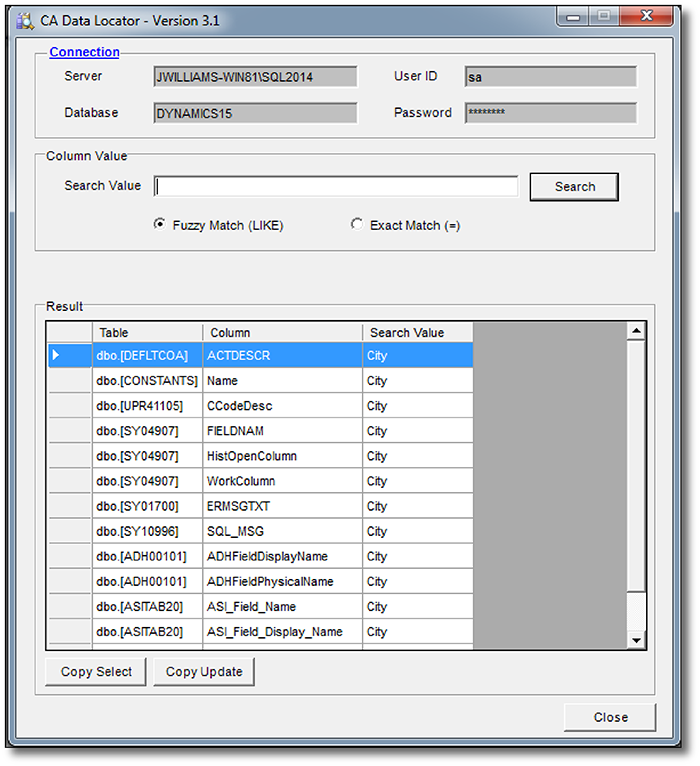 The Data Locator Utility allows you to enter any value and quickly see all of the locations where the data resides. This product – originally developed for the Crestwood Support Team – has become a favorite among consultants, IT professionals and customers alike. The Data Locator runs in the background, uses virtually no resources and does what you need. Save hours & no down time. SQL Optimizer reviews and only reorganizes or rebuilds what is necessary.